Why do we decorate Christmas trees to celebrate Jesus’ birth? And where did they come from and what do they represent? In “Christmas Trees and Jesus,” children will learn the history of the Christmas tree and why we use them as part of our Christmas celebrations. Because Christmas is all about Jesus, decorating a tree presents the opportunity to extend God’s love and message of salvation to others. OBJECTIVE: To teach the children about the history of the Christmas tree and how we can use it to share Jesus with others. MAIN IDEA: Evergreen plants were first used by pagan cultures such as the Romans and Vikings to worship their gods. However, German Christians (like Martin Luther) began using evergreen trees in the 1500’s to celebrate Christmas. Today Christmas trees remind us of the beauty of Jesus’ birth. Don’t miss all our Christmas ideas for children’s ministry. Lastly, share with the children a tradition your family has when it comes to decorating the Christmas tree. 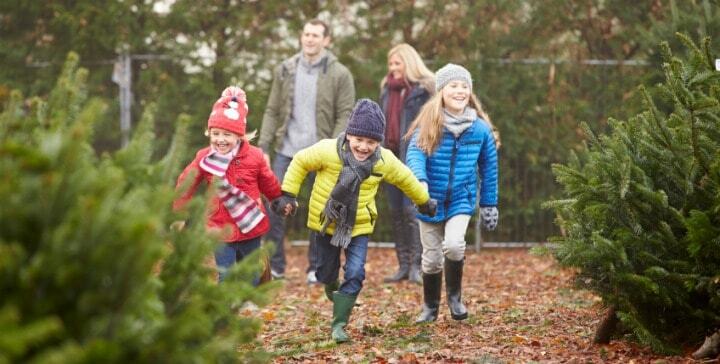 Ask, “What traditions does your family have with Christmas trees? Remember to share the love of Christ with your family this year as you set up your tree, because it’s an opportunity to reflect God’s goodness to those around us.” Read Colossians 3:17 to emphasize that our actions are to be a reflection of Jesus and our thankfulness to God. Pass out the crafts and say, “These nativity ornaments with remind us that Christmas trees are a reflection of Jesus.” Help the children assemble the ornaments and use the glue gun for final touches (if necessary). RECAP: Christmas trees were once used to worship false idols, but today they represent the season of Jesus’ birth. We can share what we know about the history of Christmas trees to lead others into a relationship with Christ. Tony Kummer (Editor) reviewed & updated this page on : November 12, 2015 at 11:07 pm. All our content is peer reviewed by our readers, simply leave a comment on any post suggest an update.